For Ross and Betty, it has always been about breeding a good sound, productive cow herd. We have used AI extensively over the years and ET initially to establish our herd. We believe in mating them to the best bulls we can and then just let our cows do what they do best – use pasture and hay to produce that good calf, year after year. Since focusing on developing a good polled herd, we continue to use horned genetics in our effort to breed polled animals that have the traits we have valued in our horned cattle. So, many of our horned cows are bred polled and the polled cows are often bred horned. 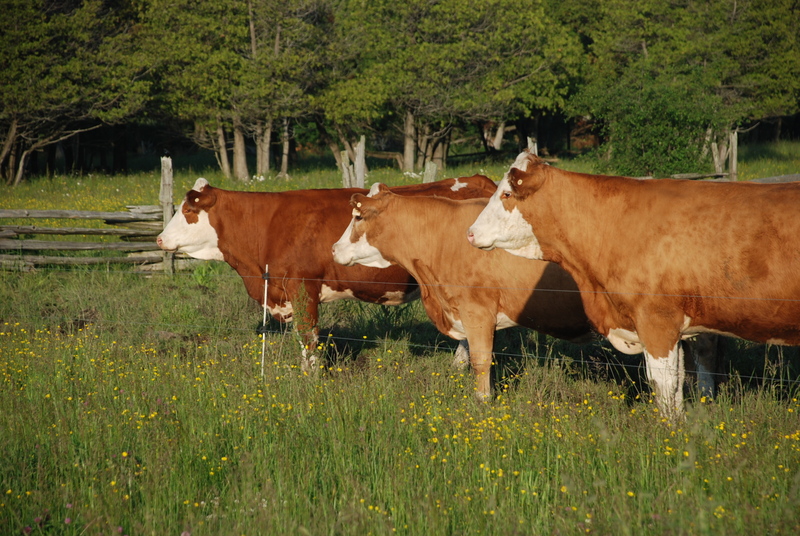 We intend to have all our cows on the site eventually – this is just the beginning. I’m amazed at this excellent work.keep on improving the lives of farmers.I have just served my Frisian heifer with Inzaghi bull from fleckvieh. Coming from Africa, kenya but thrilled at your work.